Front: Blank. Inside: Theres No Place Like Home. Happy Mother’s Day. Single Greeting Card with Envelope. 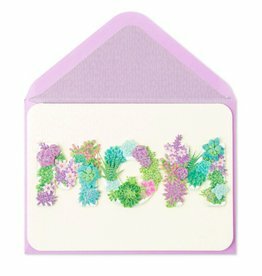 Palm Press Greeting Cards for Mom and Mother’s Day. Front: Blank. Inside: Thanks for Helping Survive My Youth. Happy Mother’s Day. Single Greeting Card with Envelope. Palm Press Greeting Cards for Mom and Mother’s Day. Front: Blank. Inside: Nobody Messes With Mom! Happy Mother’s Day. Single Greeting Card with Envelope. Palm Press Greeting Cards for Mom and Mother’s Day. Front: Mom. Inside: Words can’t express how grateful I am and how much I love you - Happy Mother’s Day. Papyrus Greetings Cards and More Perfect for the Mothers Day Occassion. Front: MOM. Inside: A very special wish from the heart to my loving, generous, beautiful Mom - Happy Mother's Day with all my love. Papyrus Greetings Cards and More Perfect for the Mothers Day Occassion. Front: Blank. Inside: Take time for your favorite pleasures and enjoy - Happy Mother’s Day. 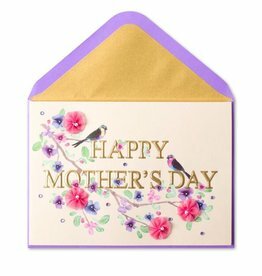 Papyrus Greetings Cards and More Perfect for the Mothers Day Occassion. Front: MOM. Inside: Today I want you to know you mean more to me than words can say - I wish you all the happiness in the world this Mother’s Day and always. 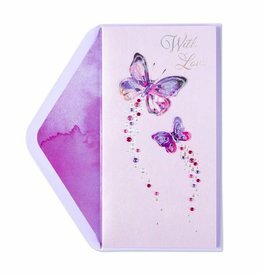 Papyrus Greetings Cards and More Perfect for the Mothers Day Occassion. Front: Mom. Inside: Celebrating wonderful, beautiful you today - I love you! - Happy Mother’s Day. Papyrus Greetings Cards and More Perfect for the Mothers Day Occassion. Front: With Love. Inside: Wishing a wonderful mom and very special person a happy Mothers Day. By Papyrus Greetings Cards and More Perfect for any Occassion. Front: “Any Mother that retains their sanity is either crazy or has a great sense of humor. -Felice Jones-Meyers” Inside: Or sometimes both! Happy Mothers Day. Single Greeting Card with Envelope. Portal Greeting Cards. Front: blank. Inside: Mommy, I love you a whole mess! Happy Mothers Day. 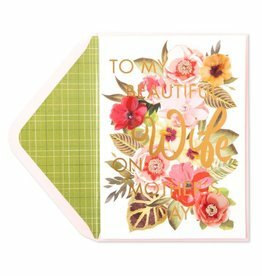 Single Greeting Card with Envelope. Portal Greeting Cards. Front: Mothers day giges me a chance to let you know how very much i appreciate and cherish you in my life. Inside: Wishing you a wonderful day… You deserve the best. Single Greeting Card with Envelope. Portal Greeting Cards. Front: Blank. Inside: Mom…Thanks for a lifetime of warm hugs. Happy mothers Day. Single Greeting Card with Envelope. Portal Greeting Cards. Front: Me & Mom Inside: a party of two right from the start. Happy mothers day. Single Greeting Card with Envelope. Portal Greeting Cards.